As always a fantastic read. 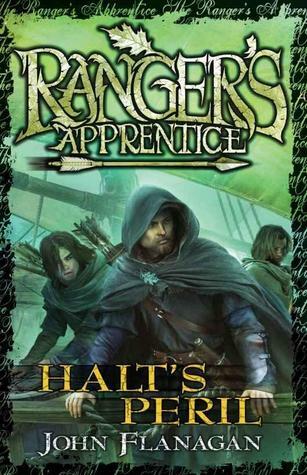 I don’t think it’s possible to go wrong with any of the Ranger’s Apprentice books! I loved how simple the storyline for this one is, yet how it’s still 300% addictive to read and enthralling. I’m so excited to be edging towards the end of this series now! 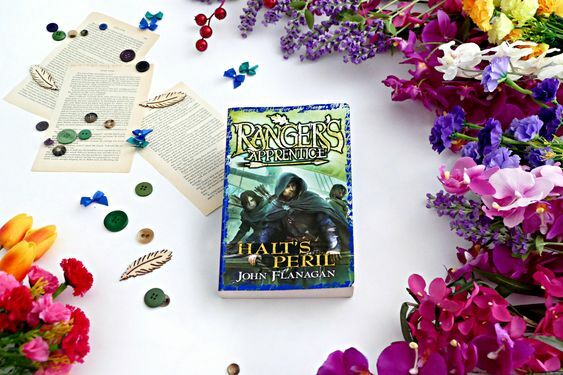 This is the ninth instalment in the Ranger’s Apprentice series which we all LOVE because it’s amazing and praise be to the glories of John Flanagan. Yes, maybe it has taken me upwards of a number of years — best not specified — to make my way through this series but *insert American accent here*: HOT DOG! I’m so excited every time I dive into one of these. 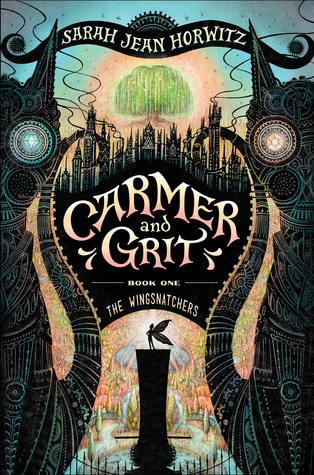 This story follows nicely on from the previous book and we’re adventuring with Halt, Will and Horace and their horses (can someone pls make me a I *heart* Tug shirt? Yes? Thank you.) Despite hardly remembering what actually happened in the previous book, it all made perfect sense to me. 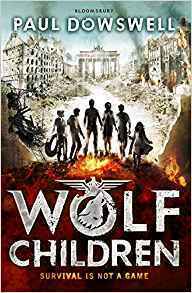 Flanagan has a wonderful knack for slowly reminding you about all the important things that have happened in previous books to make the story waddle along nicely. It’s fun, it’s fast, it’s interesting and it’s nothing short of what I would expect from a Ranger’s Apprentice story. SO. In this one the trio are tracking down a group of peoples who we’ve previously encountered; they’re religious fanatics trying to start up their own cult again — Alyeiasskeuwh or something along that line of spelling. I tried. The entire book follows this tracking journey through many a setting and we encounter some particularly tricky assassin’s along the way that cause them some trouble. The Genovesans *gasps of horror*. I loved that we got to see more of the continent — as I’m calling it. I do love it when we travel abroad from Araluen. It’s fascinating the way Flanagan has so closely reflected the setting off Europe, namely Britain, but still made it different enough for it to be interesting to learn about all the different cultures floating around — and the way they interact with each other. Given that the book is titled “Halt’s Peril” I probably should have anticipated what was coming. But I was so sure seated in my belief that no-one can touch the almighty Halt that oh my god I was sweating bullets when he got poisoned. 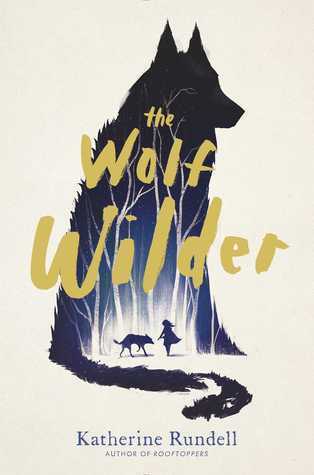 The emotions were high, the stress was unbearable as Will gets exactly 3 hours of sleep in this entire story to save Halt and Horace breaks down into despairing tears every third chapter. The sea voyage at the beginning where everyone nearly dies was also insane — especially that crazy long distance impossible shot the rangers take. The believability of that moment teetered a bit as I thought to myself: alright, that’s a little ridiculous — there are Rangers, and then there’s just magic arrows. The book does not move around as much as some of the others. Despite the fact that they’re travelling constantly the main plot and meat of this story comes pretty much from the characters and their relationship with each other. And I quite liked this. It was a change up in the pace from previous stories and had exactly the right amount of sassy come backs from Tug to keep me happy. The best thing about this series is, hands down, the characters. The snarkiness has never been so rife as it is in this book. Halt’s stubborn front and lack of patience with Horace is hilarious (and the lack of patience is a ruse anyway, Halt loves Horace — we know, he knows it, Abelard knows it). But the the constant back and forth between Will and Horace is the best. When Horace is trying to copy the Rangers’ moves by “ghosting” and doing so terribly, oh boy! One particular scene had me giggling along as Horace tries to “disappear” whilst mounted on Kicker. That boy, what a numnut. I love him. We also get a wonderful reappearance of Malcolm from the Kings of Clomnel storyline which was awesomesauce. This meant we could have a quick peek at how things were progressing for him. Not only that, but we had someone worthy of Halt’s stubborn attitude to challenge him. So much yes in this book. I cannot recommend this series enough. I loved this book just as much as I’ve loved all the ones that came before it. I’m super excited to be back on track to making my way through the rest of the series — I seriously leave it too long in between! But at the same time, I never want this adventure to end! Have you read Halt’s Peril?